The following article is the basics to understanding the cycle of the flea. In this blog you will find and article ‘ Flea Arsenal’ which is a good place to start for anyone wishing to stay away from toxic chemicals that do more harm than the flea and can be fatal for human and animals. Diatomaceous earth, a flea comb and a vacuum are your best approach to controlling fleas. I have been using Smart Choice, which is a vegetable based de-greaser and sanitizer. It work exceptionally well on fleas and kills them outright without being a danger to you are your pet. It is so safe it can be drunk. Adding a few drops to a quart of water will bring down the levels of Nitrates and Nitrites to a healthier level, in addition it heals the scratches left by cat’s claws what they try to eradicate a flea. Used with a flea comp dipped in hot water and Smart Choice, it can be very effective. Smart Choice is sold on the fleafreeorganically.com site at a reduced price. It has many other functions as well such as a vegetable wash and hand sanitizer. It will also kill other bugs. 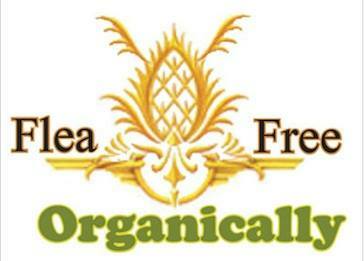 You can read more about Smart Choice on the fleafreeorganically.com web site. And of course Diatomaceous Eaerth really does help. On the rugs, on your pets fur, and if you not putting it in their food your are really missing out on all the health benefits. All animals have worms and have three times the chemicals in their system that we do. The ground is loaded with chemicals and because of their proximity to the ground their exposure is tripled. The report for this will be on the website soon. The best approach to controlling fleas is to start with the least toxic and most natural choices, resorting to stronger measures only if reasonable control is not achieved. As a prerequisite to any flea-control program, I recommend building up your animal’s health and resistance as much as possible through a healthy diet and lifestyle. Along with that, it’s important to practice thorough sanitation and cleaning. Understanding the life cycle of the flea makes it clear why cleaning is so important. Adult fleas live about three to four months. During that time they are steadily laying tiny white eggs on your pet that look like dandruff or salt crystals. Flea eggs hatch out into larvae that live in the cracks and crevices of rugs, upholstery, blankets, floors, sand, earth, and the like. Because these tiny larvae cannot jump or travel very far (less than an inch), they feed on the black specks of dried blood (“flea dirt”) that fall off along with the eggs during grooming and scratching. After one to two weeks, the larvae go through a cocoon stage (pupa). A week or two later, they hatch out as small fleas that hop onto the nearest warm body passing by (usually your pet — sometimes you! ), bite it for a meal of blood, and then start the whole process all over again. This cycle takes anywhere from 2 to 20 weeks, depending on the temperature of the house or environment. During summer — flea season — the entire cycle is usually just 2 weeks long. That’s why fleas increase so rapidly at that time. The bad news is that, no matter how many adult fleas you manage to kill, numerous future fleas are developing in the environment simultaneously. The good news is that these eggs, larvae, pupa, and the flea dirt they feed upon can be sucked up by a vacuum cleaner or washed away in the laundry. And because the developing fleas are so immobile, they are most concentrated wherever your pet sleeps, so you know where to focus your efforts. Your important ally in the battle against fleas is cleanliness, both for your pet and your home, particularly in your pet’s sleeping areas. Regular cleaning interrupts the life cycles of the fleas and greatly cuts down on the number of adult fleas that end up on your pet, especially if you act before flea season begins. The hardes thing for us to learn is that finding one or two fleas is ok, it mean that we are being successful on our flea battles. You cannot win the war but we can win the battle but cleaning, using Diatomaceous earth on pets, bedding and rugs, and a bagged vacuum once a week. The first time you use Diatomaceous earth you must leave it in the rugs for 3 weeks to catch the cycle of hatching fleas. You shouldn’t need to use it more than once a year but it depends on your infestation and how well you spread it. Use a sifter a light dusting is best. The flea Arsenal listed in this blog will give you more tips on how to battle the mighty flea.